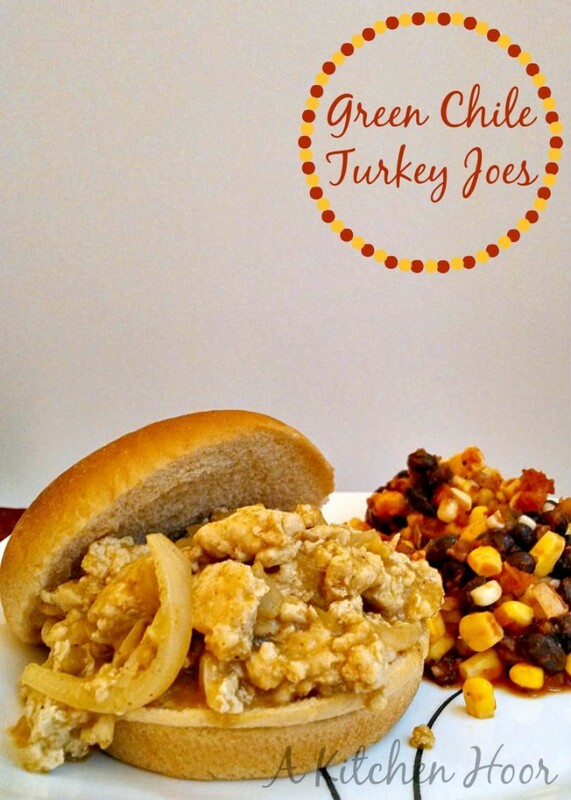 With the delicious flavor of green chiles, these Green Chile Sloppy Joes has the delicious tang of green chile sauce and hearty turkey. 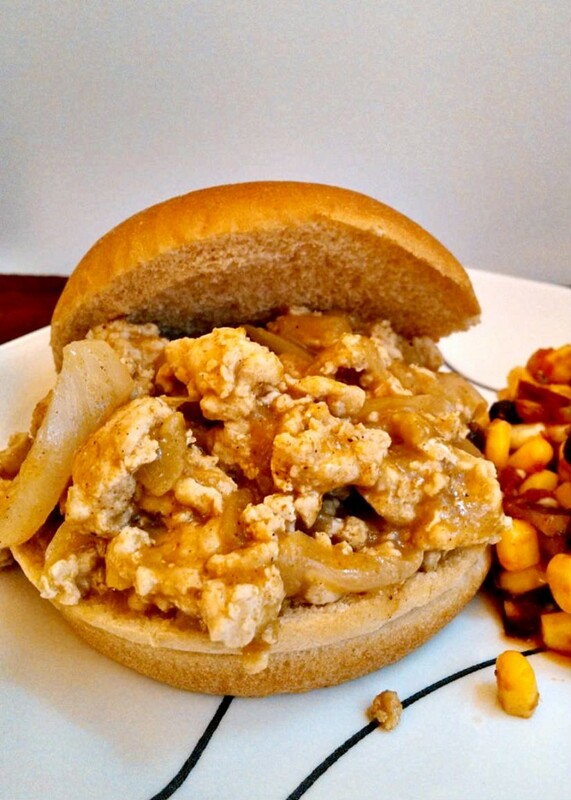 It’s a perfect sloppy joe meal for any night of the week. Yes. I know Monday was Cinco de Mayo, but it was also #MeatlessMonday so I chose to wait on these Green Chile Sloppy Joes for later in the week and did a round up highlighting some of my Southwest recipe archive Sunday and a regular #MeatlessMonday recipe on Monday. Yup. I didn’t jump on the food blogger bandwagon and do a Cinco de Mayo post. Not that it’s a bad bandwagon! Don’t get me wrong. I loved seeing all the recipes for one of my favorite styles of cooking highlighted by so many talented bloggers, chefs, and bakers. It was #droolworthy. And so are these sloppy joes!! Oh my! This was one of those recipes that attracted co-workers the next day. J followed the aroma into my office and told me so. She cracks me up! Granted this was one of those days where I REALLY enjoyed my left overs lunch. I know what you’re thinking. “How can you have them for lunch? Doesn’t the bread get soggy or get smushed?” Yes and Yes. If I’m having slopped joe lunch, I treat them like an open faced sandwich. I don’t mind that the bread gets a little soggy. And I topped these with some pepper jack cheese and made them even more tasty for lunch. Cause who doesn’t love cheese? Really? You don’t love cheese? Get off my blog. No seriously…go. *snort* KIDDING! I tried to make these before and failed miserably. Well, not that miserably. We still ate them, but it wasn’t the flavor I was going for. This is the flavor I was going for!! The combination of the ground turkey, green chiles, and hint of sour cream is EXACTLY what I was going for. These taste delicious!! It’s an even added bonus to use ground turkey so it cuts down on the fat. And we’re all about cutting down on the fat, at least from a meat standpoint. We’re still using some extra virgin olive oil (I REFUSE to say EVOO because the person who coined that phrase sort of gets on my nerves. Just sayin…) in our cooking, but try, mainly, to cut most fat from our diets. I know. I’ve said this before, so I’ll just leave it at that. Do you use your chiles like wine? Red chiles for red meats and green chiles for white meats? I’m sure green chiles taste great with beef, but I’ve never actually done that. I should try it. Or is there some unwritten rule that you can’t mix the colors with your meats? There’s just something about the tangy green chile that really lends itself more towards poultry and pork for me. Green chile pork stew? LOVE THAT STUFF! Green chile chicken enchiladas! YUM!! Green chile beef? Never had it. Guajillo beef? YES PLEASE! Heat a large skillet coated with cooking spray over medium-high heat. Add onions and saute 1 to 2 minutes or until the onions begin to soften. Add the green chiles and stir to combine. Crumble the turkey into the pan and brown, making sure to break up the turkey meat into smaller pieces. Once the turkey has browned, add the green chile enchilada sauce, chili powder, ground cumin, salt and pepper. Stir to combine and simmer until the sauce has thickened. 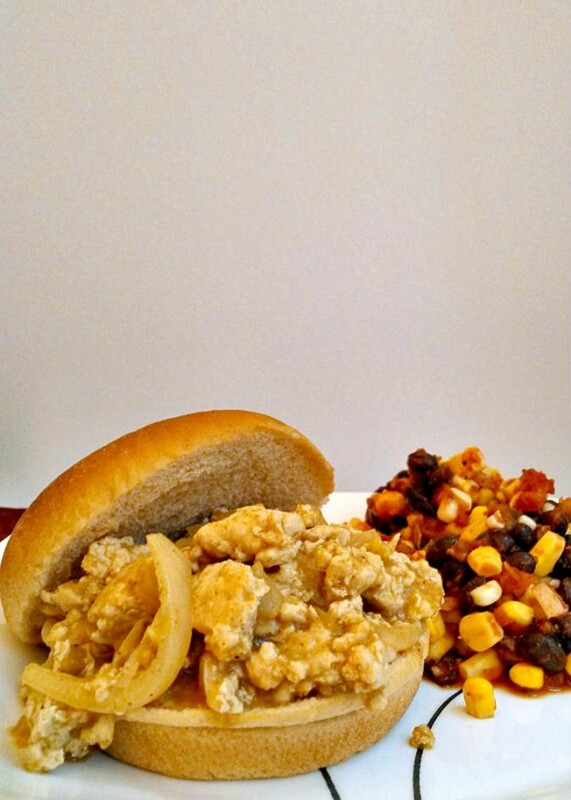 Place 2/3 cup turkey mixture on top of each of 4 hamburger buns and serve with corn and black bean salsa. I love green chiles. And I never really thought about it, but I do always use them with chicken or pork, never beef. I also have clear preferences for tortillas. Corn with beef, flour with chicken. I don't know. Maybe I'm just picky? Anyhoo…I think I'd like these more than standard sloppy joes. Yum. Oh, girl these look so good. I'm always looking for a new and different recipe and your green Chili Sloppy Joes sound like they would be delicious and I can't wait to try them. Thank you for sharing with the Clever Chicks Blog Hop! I hope you’ll join us again next week! This looks yummy. How interesting. I hope you & the fam are having a great week. Thanks, Leslie! We're surviving. Hope y'all are well, too!